The Cannaley Treehouse Village will be located in the Beach Ridge Area of Oak Openings Preseve Metropark. The new treehouse village in Oak Openings Preserve Metropark will be called the Cannaley Treehouse Village, it was announced last week. Once completed the treehouse village will feature: a six-person treehouse, a four-person treehouse, two 2-person treehouses, three tent/hammock platforms for camping in the trees, a common treehouse with seating for up to 49 people, a crow’s nest, and a canopy walk linking the common treehouse to the crow’s nest. The treehouse village is located in the Beach Ridge Area of the park on Waterville Swanton Road just south of Airport Highway in Swanton. Construction of phase 1, which includes the common treehouse, crow’s nest and a tower that will support a cable suspension bridge, is underway. The campaign will raise additional funds for phase 2, which includes the overnight treehouses. The Treehouse Village is in large part a result of the generous support of the local community through the Metroparks Toledo Foundation. Private contributions made to the Foundation will fund the development of the Treehouse Village. To date, $1.1 million has been raised with a total goal of $1.5 million. The property on which the treehouse village is located was formerly owned by Linda Najarian Cannaley and her late husband James Cannaley and had been part of the proposed Saddlehorn Golf Club development. Linda Najarian Cannaley is also a leadership supporter of the project. It is scheduled to be completed in late 2019. The public is asked to hold off on visiting the village until it is complete. 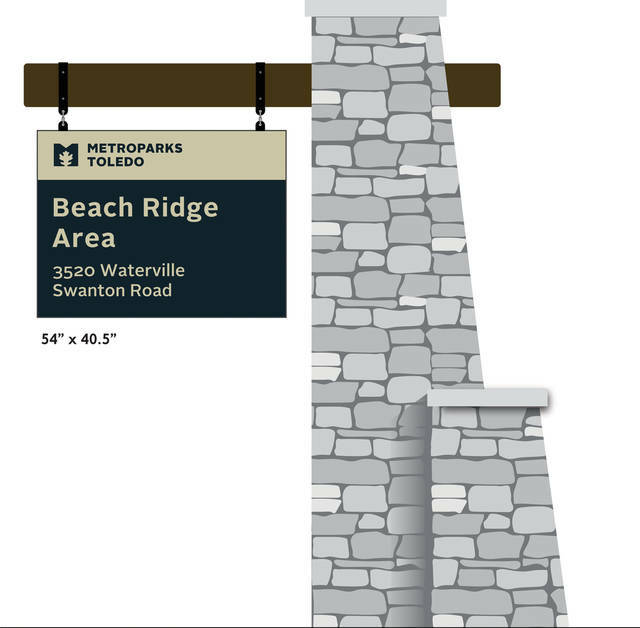 https://www.swantonenterprise.com/wp-content/uploads/sites/23/2018/10/web1_Beach-Ridge-Area-Sign-1.jpgThe Cannaley Treehouse Village will be located in the Beach Ridge Area of Oak Openings Preseve Metropark.